During the winter and early spring months this plant could be dormant when shipping. 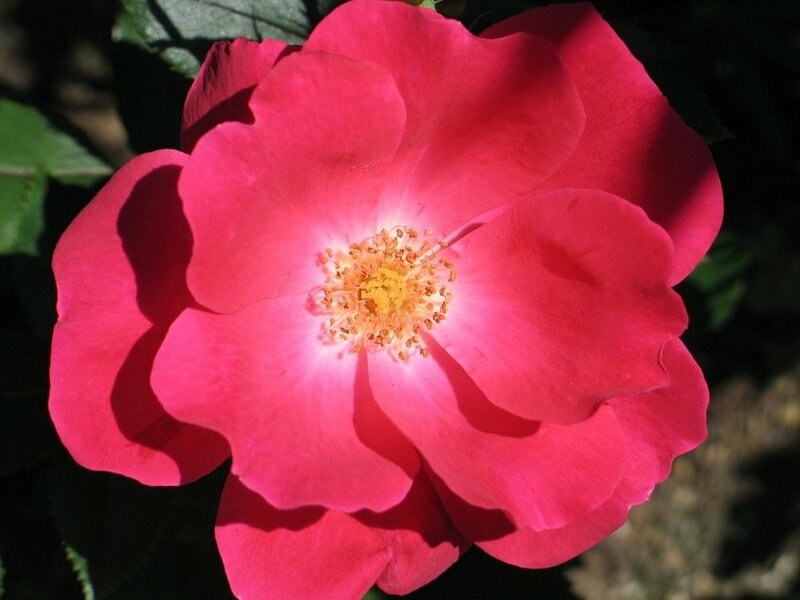 Knock Out is a compact tidy shrub rose and resistant to black-spot. Blooms are fire engine red in cool weather and a cherry red in the summer months. The foliage is a dark purplish green and turns to burgundy in the fall. Tough foliage and blooms. Knock Out is drought tolerant and matures to a 3 foot x 3 foot winter hardy shrub. Blooms non-stop + Maintenace Free + Exceptionally hardy + Blackspot resistant + Drought tolerant + Self cleaning + Beautiful deep purplish green foliage turning burgandy in the fall + 2000 AARS WINNER + Hardy in zones 5-9. The Knock Out Rose is shipped in a 4" pot. It will reward you with blooms this year!